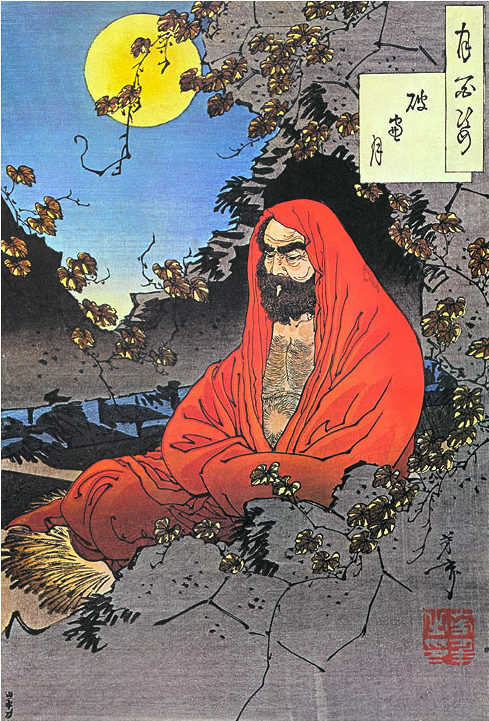 Bodhidharma, who brought Chan Buddhism to China. Chan later made its way to Japan and became known as Zen. Zen is a set of teachings and practices aimed at helping students minimize suffering in their lives and awaken to reality “just as it is.” As a school of Buddhism, Zen is generally considered a religion, but it is important to note that Zen is not concerned with whether or not gods exist, how the universe came to be, or what happens to us after we die. It is not that those questions are not interesting or important—they are simply not the purview of Zen Buddhism. Buddhism originated in India roughly 500 years B.C.E. The historical buddha (or “awakened one”) was a man named Siddhārtha Gautama who taught a “Middle Way” between extreme hedonism and extreme asceticism. While some schools of Buddhism worship Gautama Buddha as a deity, most do not. In Zen, Gautama is considered a great teacher only—the first person to experience enlightenment, a state of realization available to everyone. Zen focuses heavily on meditation practice and direct, personal understanding of the nature of reality rather than the study of traditional Buddhist scriptures (sutras) or doctrine.